Thanks to the generosity of regional grant givers such as the NHEC Foundation, summer programming has been offered – at no cost – to local children with cognitive and physical disabilities. 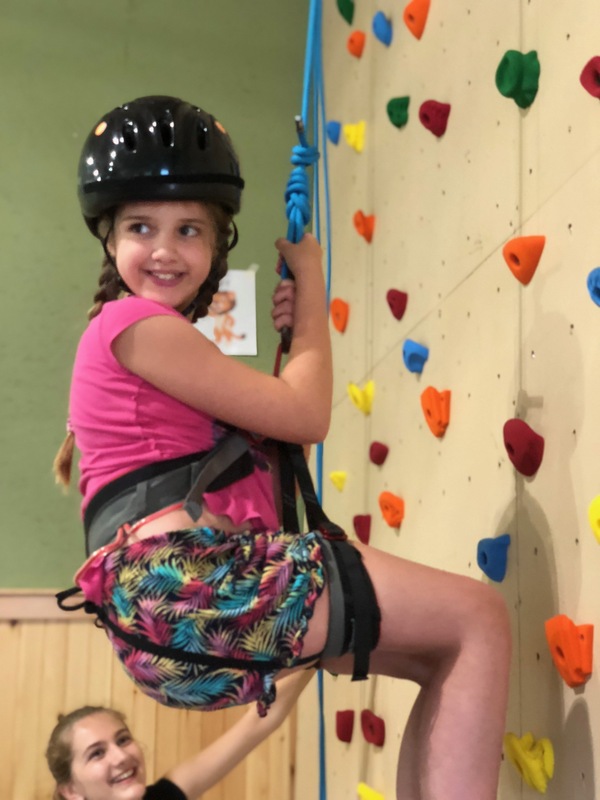 The program (which began in 2012) provides individualized, direct instruction for students to improve their social-emotional and recreational skills through enjoyable activities with peers. 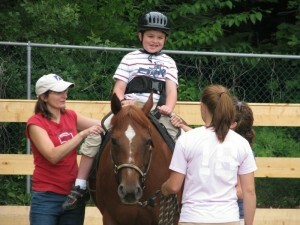 Therapeutic horseback riding is provided during this program, and in the summer of 2018, climbing wall activities will be added. Thus far, school aged children and teens from SAU 9, SAU 13, and MSAD 72 have attended. Another successful initiative includes the Laura Foundation’s Café programming. 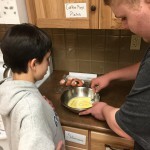 Friday Café: Making Food and Friends began in the fall of 2014. 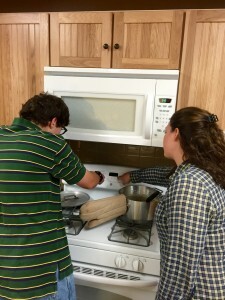 The program’s success has allowed for it to run every September/October through June for teens on the autism spectrum, providing them with a safe place to have fun with friends while learning skills (such as cooking) to increase their independence. Friday Café was duplicated for middle school students with autism on Thursday nights (Thursday Café) in April 2015. In January 2017, Friday Café DAY began for young adults, primarily with autism spectrum disorders. The Café initiative’s popularity led to the need for a third evening session; thus, Wednesday Café began in September 2017. All four programs are free to participants. Beyond the local school systems, we are striving to expand the reach of our activities. We are also broadening the scope of programs offerings. In January 2016, our recreational therapists began working with water safety educators to offer swim lessons to individuals on the autism spectrum. This is extremely important to the Laura Foundation; drowning is among the leading causes of death of individuals with autism. Swim lessons (FINS) returned in 2017 and continues in 2018 thanks to generous funding support from Autism Speaks and Memorial Hospital’s Jim Soroka Water Safety Fund. In January 2018, a 4-hour program for adolescents/teens with autism began. Taking place every other Saturday and some school vacation days, it has one-on-one support for participants. It’s not only fun, but it’s a safe place where respite can be given allowing caregivers to have a consistent, needed break. The program’s focus is on developing friendships using therapeutic recreation and interpersonal skill building games, being unplugged (no electronics! ), and broadening leisure skills while learning life-skills that help participants navigate the world more independently. Summer 2018 brought several new opportunities. The Summer Transitional Employment Program (STEP) began with five individuals (ages 15 to 18) with autism. They gained work-skills and carried the skills over to on-site job training. 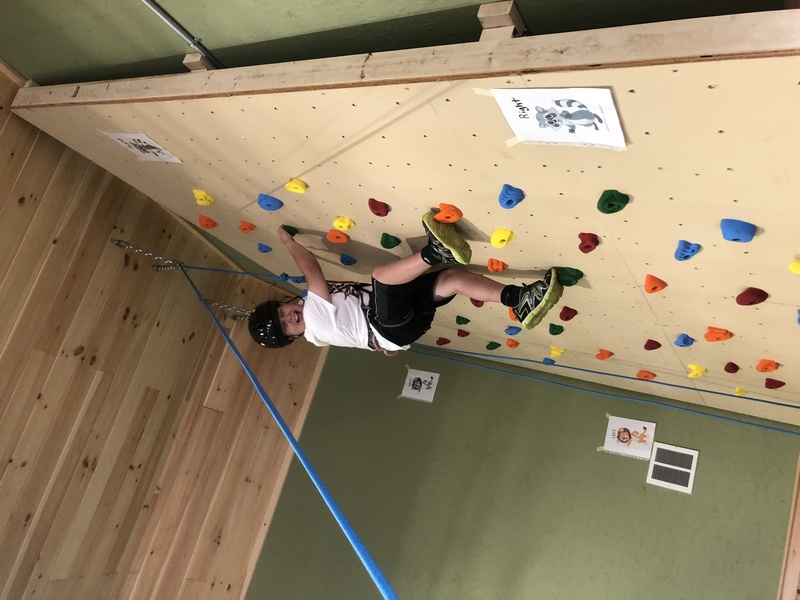 Another new activity was the addition of our indoor climbing wall. It was ready for use in July, and participants LOVE it! 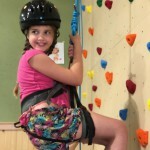 Climbing wall activities are now a part of most Laura Center programs.